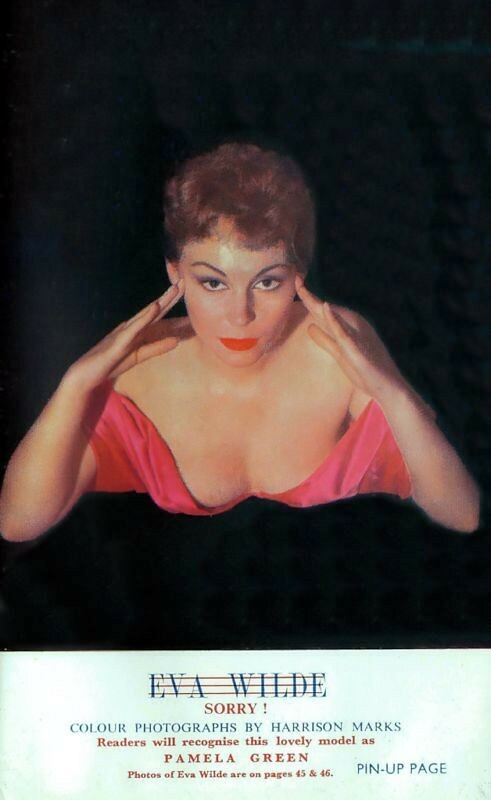 An early shot of Susan Rivers by Harrison Marks from the 1956 Carnival Annual. The same image along with another of Susan (below) also appear in the October edition of Fiesta from the same year. It seems that this image as well as the one below incorrectly name the model as Eva Wilde Pamela Green, which it most definitely isn’t! Although some shots of Pamela at the time have her with a similar short red hairstyle, they are different models and one of Pamela with this hairstyle also appears in the same Carnival Annual. Tagged 1950's, 1956, Carnival Annual 1956, Colour, Fiesta October 1956, Full Magazine, Harrison Marks, Not Pamela Green, Susan Rivers, Vintage, Vintage Pinup 1950's.